Throughout my 16 years of being a master wedding photographer, I have learned a lot about the different lighting situation you be put into and how to properly expose for those at times unusual moments. You have to be ready in not hours of preparation for a wedding image because at times in can be just seconds, you have to adapt yourself to this situation, because your wedding clients expect nothing less from you as a wedding photographer. At the Westin Resort Spa Hilton Head wedding ceremony the clients where looking at the beautiful sky and sunset and having their moment. 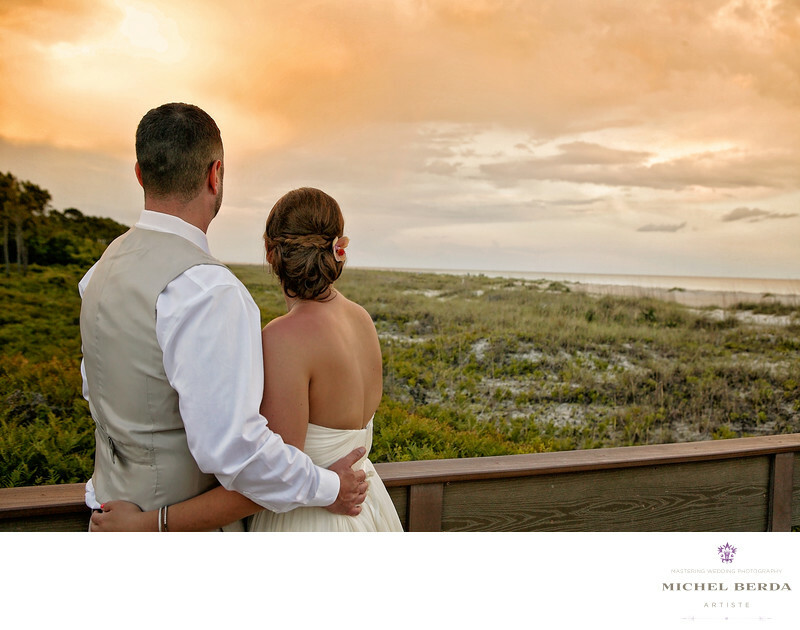 Being assertive and walking by them, I knew this moment and image would mean so much to them from this beautiful venue the Westin Resort Spa Hilton Head ,wedding ceremony the beach the sunset, the connection between them as they are enjoying a peaceful quaint moment. All well documented by me to represent that in a artistic way of their wedding. Keywords: best wedding photography (45), bride (66), groom (69), Hilton Head (75), Michel Berda (1140), photographer (1125), photography (75), sc (309), venue (45), Wedding (90), Wedding Photographer (1254), Wedding Photographers (198), westin resort and spa hhi (15).